NORTH FORT MYERS, FLA. - Funeral services will be at 12:30 p.m. Friday at Lane Family Funeral Homes, Anstrom Chapel, 8783 Tod Ave., Boardman for Thomas F. Barnett, 81, of North Fort Myers, formerly of Boardman, died Thursday, June 5, at Hope Hospice of Cape Coral, Fla.
Thomas was born Oct. 12, 1932, in Coopersville, Mich., a son of the late Frederick and Ruth Downs Barnett. He had been an engineer for General Motors Corporation for over 36 years, from where he retired. 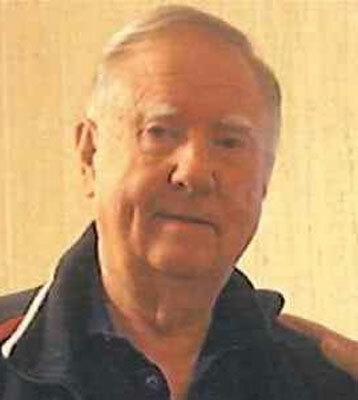 He enjoyed Barbershop Quartet singing and was an avid golfer. His wife, the former Lois James, whom he married July 26, 1975, died July 22, 2004. He leaves two daughters, Susan (Jim) Mosley of Hazel Park, Mich. and Dianne Hunter of Jasper, Fla; one son, Larry (Julie) Barnett of Hadley, Mich.; three step-sons, Charles (Jeanne) Gahagan of Moreno Valley, Calif., Thomas (Lynne) Gahagan of Port Charlotte, Fla, Mike (Kathy) Gahagan of Boardman; one step-daughter, Barbara Smith of Washington, Mich.; one brother, Paul (Carmen) Barnett of Michigan; 21 grandchildren; and his companion, Midge Doty of North Fort Myers. Besides his parents and wife, Thomas was preceded in death by a son, Gary Barnett and a brother, Stan Barnett. Friends may call from 10:30 a.m. until the time of the service on Friday at the funeral home.